-How do we start praying together? -Can we pray about anything? -How do I get my mate to pray with me? -Does romance get better when you pray together? -Is there scientific evidence for prayer? -What if my prayers aren't answered? In association with several prominent mega-churches and Baylor University’s Institute for the Studies of Religion, SQuire and Louise are initiating the first empirical research study ever done on the effects of prayer among two people over an extended period. 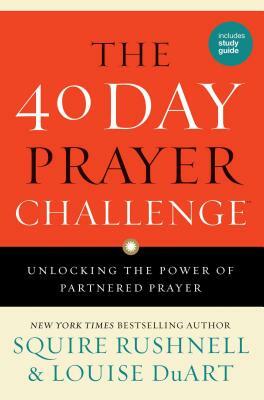 The 40 Day Prayer Challenge also provides a no-cost online opportunity to participate in the ongoing study. When the fun and transformational challenge finishes at forty days, prayer partners will receive a scorecard on how well they did, and join others in experiencing the amazing, wonderful things that happen during Partnered Prayer.